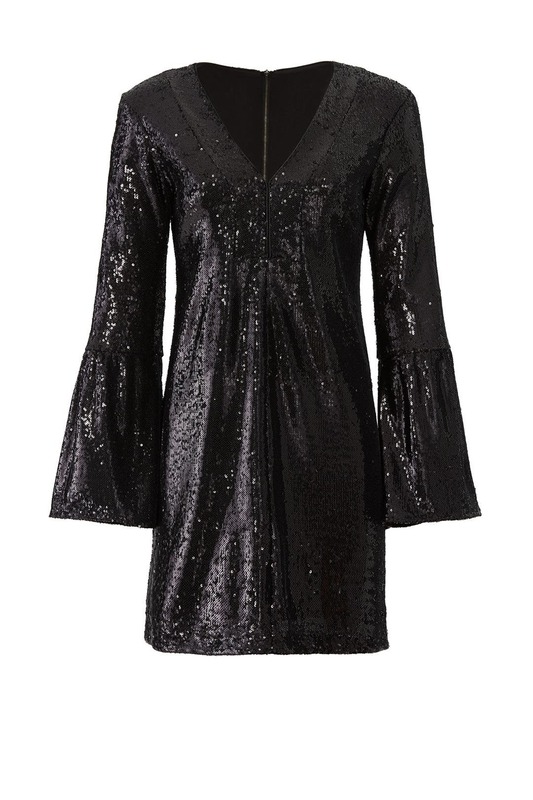 Lustrous sequins light up this little Nanette Lepore dress styled with a V-neck and bell sleeves. 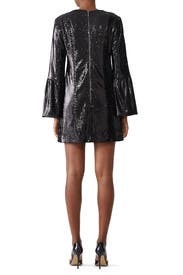 Black sequins (100% Polyester). Shift. Long sleeves. V-neckline. Exposed back zipper closure. Fully lined. 34" from shoulder to hemline. Made in the USA. Loves this dress. Fully lined and good material. Sequins fell off a bit but not terrible. No give to the fabric. I wish i could have worn it more than once! Short but not too short, but i am 5'4". It's not necessarily a tight fit but if you size down, you'll get a fun dress that flatters and doesn't show off anything unflattering. It's not at all like a baggy T-shirt, still has nice form. I usually don't wear sparkles, but the black kept it understated. Not scratchy. Not too short (I'm tall so I worry). And you can wear any bra you'd like! 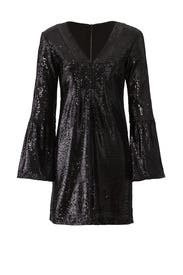 Also great for dancing- the fun sleeves and sparkles made me want to hit the dance floor. I didn't end up wearing. The waist was as big as the hips. Not a good fit for my body style. Great dress...very flattering...perfect for NYE wedding reception! Well made! Loved this dress and got so many compliments. I chose the 16 because I wanted it to be a bit flowy and not super tight. I'm in the middle of losing weight after a surgery and felt this one was flattering. perfect dress to shine in all. night. long. 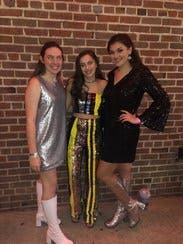 This dress was perfect for my disco-themed sorority date party! It was super easy to wear for a few hours; the sequins weren't scratchy or itchy, and the sleeves had just the right flare to be groovy but not get in the way! I got compliments on it all night and loved getting to rep RTR!! I felt like abba. Tried it on and just laughed. Sleeves were too long and the fabric felt very heavy, not fun and flirty. One of two dresses I rented and I ended up going with this one for a charity event. Fit was great. Ran just a bit large. One size down would have been great. Still worked out. Would rent again. Received a lot of compliments. I am a true 6 and probably could've worn the 4, but this was flattering Heavy weight due to sequins, but not too warm for dancing! Overall, comfortable and cute. Didn't end up wearing this because it felt baggy . Would look great on someone else though! Baggy and made me look heavy. Think I am too short and curvy- but great for someone else! Great for my witch look. Have zero shape though. Just ok. Fit was good, recommend going a size down since it is not fitted. I'm 5'1", petite and curvy. The sleeves were long and the top of dress was bulky. Not a good fit. If you're petite, this dress is not for you. The sleeves were super long and the top part of the dress by the shoulders were bulky. The dress was cut too short and looked unflattering...didn't wear. Stretchy and forgiving fabric with fun sequins. It minimized attention everywhere but legs. Sleeves are noticeable and unflattering. Lovely dress. The sequins were sparkly without being tacky. The cut was forgiving and it fit without being too tight. The flared sleeves weren't my favorite, but they weren't too much of a hassle. Perfect reason for using RTR - use once and send back! This dress was so classy and comfortable! Got so many compliments!! It fit perfectly! Very flattering! 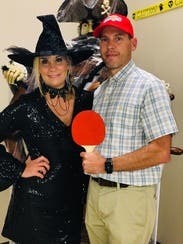 Chic and Posh were some of the compliments. It felt very good on!! 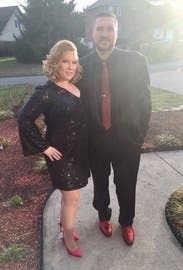 I wore this dress to my company's casino-themed holiday party and got so many compliments! Slightly tight around the hips but not uncomfortable - just made for a tighter fit than shown on the model. Cute and elegant at the same time ... received a ton of compliments! Perfect fit and really comfortable to wear. I loved everything about it. A tad short for me at 5'7" and I'm not a kid, but I rolled with it. The dress was a hit, easy to move in and fun to wear. I'm 5'5" and this was fashionably short but not too short. Forgiving style for large busted. Sleeves a little long but no problem with the bell sleeves. Very fun to wear. Many compliments. 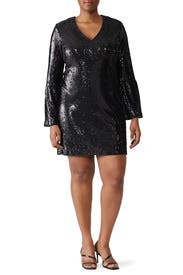 Rented this as a backup so I didn't wear it, but I would-- it's very flattering, though it's absolutely the shortest dress I can dream of wearing, even with tights. Just didn't fit with my body or style . It's was too wide in the center for me. It's a cute dress otherwise. Just not my style. I did like the dress! I wore a size up to add more length to the skirt. Gorgeous classy, trendy age appropriate dress! This dress was so fun, trendy and age appropriate. I'm 5'9" with long legs and the length was perfect! 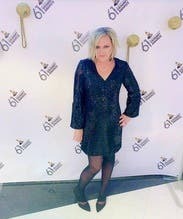 I attended the Grammys as a spectator and then the after party! Even though there were so many gorgeous dresses I had tons of strangers complimenting my dress all night. I ordered the 16 and 18 because I was worried about the length and tummy area but the 16 was a perfect fit. My problem area is my mid section so I did wear spanx and it was very flattering! It layed perfect hidding my problem areas!! I like how it showed off g legs and the sequence are very sturdy sometimes they fall off easy. This dress is simple but fun and flirty. 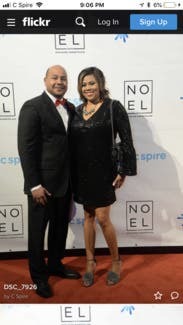 I was comfortable at an event that lasted almost all night, and the dress photographed well. I'm very happy with this one. I'd keep it if I could. REALLY SHORT but super hot! I didn't wear it... so short (I'm almost 5' 9 -- and then with heels I added a couple inches. Even with black tights, it would have been bordering on obscene. I would have been tugging it down all night and totally screwed if I dropped anything. A shorter friend wore it instead and she looked HOT! It has tasteful V-neck (a glimpse, but not too much!) and really flattered her figure. The dress is not scratchy at all and has a little bit of give. I was happy this beautiful, fun dress got worn!